It is common practice for all types of organizations to create and identify with a "mission". This collection of words and phrases is often used by both business and industry to provide a path that can serve to guide organizational decisions and overall direction. Educational institutions of all types often embrace the inspirational guidance of a mission statement as well. 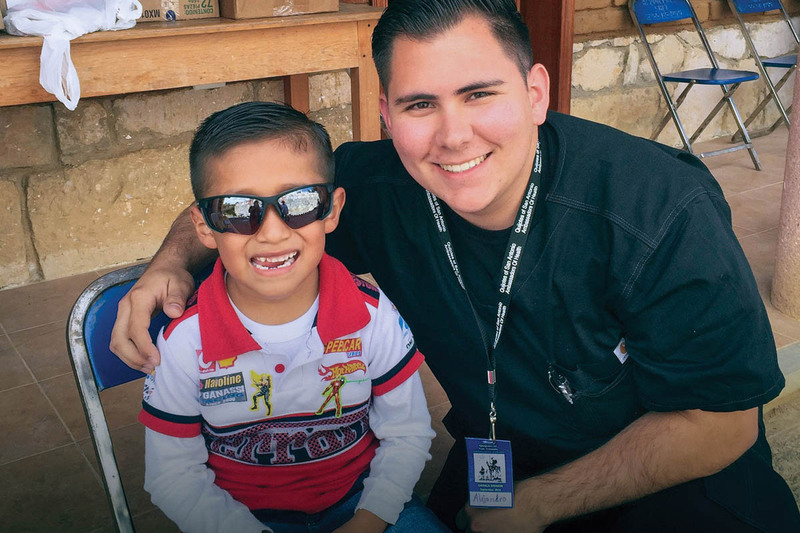 The University of the Incarnate Word Rosenberg School of Optometry (UIWRSO) has crafted a mission that emphasizes both a commitment to developing both clinically proficient optometrists in addition to caring compassionate health care providers. The foundation of this approach dates to the late 1800's when the Sisters of Charity of the Incarnate Word (CCVI) established the Santa Rosa Infirmary. Central to the clinical services provided by the Santa Rosa Infirmary were that every person was important, and that all individuals should be able to receive care regardless of race, religion, creed, background, ethnicity, and/or ability to pay. Over a century later, the approach by UIWRSO to providing clinical care and services has not changed. That commitment is demonstrated not only through the mission of the program, but also by the actions of those individuals that remain committed to helping others in need. Recently, Dr. Coates led a team of six students on a mission trip to Chichicastenango, Guatemala. You are invited to experience this mission work and how UIWRSO can change lives by not always "following the schedule”.